Glasgow Business Process Outsourcer Parseq is celebrating its partnership with The Princes Trust after a successful year helping young people from the city gain full-time employment. The collaboration supports the UK youth charity as it transforms the lives of people from disadvantaged backgrounds aged 11 to 30, helping them into jobs, education and training. Earlier this year, Parseq worked with the charity to organise ‘Get Hired’, a special event hosted at The Prince’s Trust’s Wolfson Centre in Glasgow. It gave participants – many of whom have struggled with homelessness, mental health issues and a difficult transition out of care – the chance to use the skills they’ve gained with the charity to apply for permanent positions with Parseq. Following the event, a shortlist of 12 promising candidates were invited to Parseq’s Central Quay site, where they faced a second stage interview. Mark Wallace (21), Chris Thomas (25), Shaun McLafferty (18) and Petras Vinciauskas (21) were all successful and now work as full-time Service and Technical Advisors in the company’s growing contact centre division. The new recruits receive a structured training programme and the support of management, who will guide them through their professional and personal development within the company. Commenting on his achievement, Shaun McLafferty said: “My new role at Parseq is a brilliant opportunity for me to grow professionally. 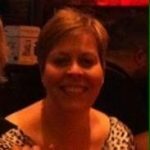 Since starting, my IT and communications skills have already improved noticeably and I’m really enjoying speaking to customers and helping them resolve their issues. “We’re really pleased to have Parseq onboard. Over the last year we’ve developed a great working relationship. The business is making a real difference to the community by giving young people the opportunity to secure sustainable fulltime employment. 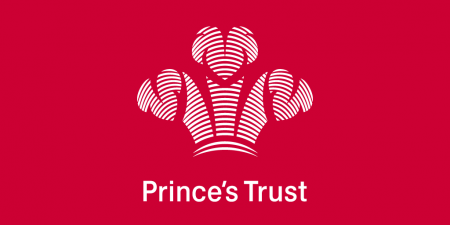 “The work carried out by The Prince’s Trust is inspirational. Providing sustainable opportunities for young people is very important. In addition to its advanced contact centre services, which process over 70 million calls annually, Parseq provides a number of complete business processing services, handling over £15bn in electronic payments and digitising over 25 million customer correspondences every year. Parseq – headquartered in South Yorkshire – employs 2,000 across five sites in the UK, with international partnerships extending across six continents. Be the first to comment on "Parseq and the Princes Trust Celebrate a Successful 2017"